Brighter By Nature Skin tone correcting serum, which is new from ORIGINS, is on my Hot List and perfect for guys like me who have spent a lot of time outdoors at the beach or skiing and hiking. I've been using it on some darker areas on my forehead and have already noticed that they are much lighter. It's job is to fight discoloration and uneven patches... and it works! Most guys shave daily, which in itself triggers irritation, and the skin responds by making more pigment. The result is that the beard area can appear slightly darker then other parts of face. Also, time spent outdoors without adequate sun protection can result in rough-textured skin. Daily sun exposure, pollutants, a few vodka & tonics and even age can stress out skin, leading to the formation of dark spots and an overall dull, uneven complexion. Laser resurfacing is expensive and often involves long, uncomfortable recovery periods that include some pretty nasty side effects such as prolonged redness, facial crusting, burning, swelling and scarring. 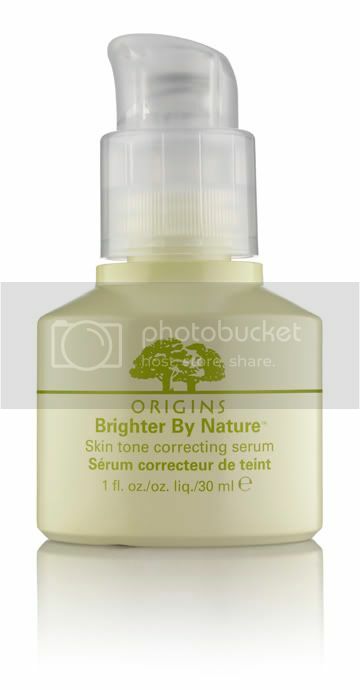 Brighter By Nature Skin tone correcting serum is a nice alternative. While not a laser, Brighter By Nature harnesses the power of plants to deliver immediate results without the pain. Brighter By Nature helps undo the past to restore clarity and a uniform skin tone to any complexion regardless of age or individual skin behavior.